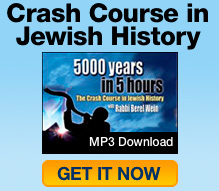 The year 1000 CE, more or less, is a major turning point in the history of the Jewish people. It is the transition from the age of Babylonia to the age of Spain; the transition from east to west. It is also the transition, loosely speaking, from the period of time known as the Geonim to the period of time known as the Rishonim, “Early Authorities,” which includes the great Torah scholars of Spain, France and Germany who continued the development of Jewish knowledge and civilization. In identifying reasons why it happened, three major ones stand out: division, migration and assimilation. There are certain inexorable rules in Jewish history. The first is that, since the destruction of the Second Temple, whenever there has been a time of great dispute within the Jewish community, that community within a relatively short period of time loses either its role of leadership or disappears completely. The Talmud tells that the Second Temple was destroyed because of contentious quarreling among Jews. After the destruction, the center of Jewish life shifted to Babylonia for next six centuries. It was an autonomous, powerful, wealthy and scholarly Jewish community. It was even able to withstand the coming of the Muslim world, which should have shaken it to its very foundation but did not. However, starting around 850 CE the decline of the Babylonian Jewish community set in and was accompanied by – if not caused by – a period of terrible divisiveness, as we discussed previously. Although the major dispute between the Gaon and the Exilarch came to an end, in reality it was never settled. Once the basic trust in the community is lost, then all accommodations made later are only patches. Eventually the garment, so to speak, becomes shredded. That is what happened to the Jewish community in Babylon. Even though the institutions of the Gaonate and the Exilarch would last into the thirteenth century they had lost almost all of the effectiveness by about the year 1000 CE. The Jewish community remained in Babylon, today’s Iraq, until 1952, when the Arabs threw them out in retaliation for the establishment of the State of Israel. But for almost 1,000 years it had ceased to be the powerful and influential community it had once had been. And the root of its decline was this bitterly divisive dispute that rent the community asunder. That is one reason, a basic reason, why the period of the Babylonian Jewry came to an end. There is a second reason. There is a rootlessness that exists within the Jew. We sense it. Whenever there is a new place in the world that opens its doors the Jews are interested to go there. It is not an accident that Columbus had Jews on his ships. It is in our nature, our genes. Therefore, when Islam spread and moved west, Jews came with them. It was a new world with new opportunities. Those Jews attracted Jews much as the same way as happened with Jewish immigration in the United States. One person from a small town came to a new place, wrote home and said, “Come to this town.” That is how people came to the United States. That is what happened in North Africa as well. A third reason for the demise of Babylonia as the center of Jewish life has to do with the Arabs themselves. The trend of assimilation, which exists throughout Jewish history, is not dependent upon the Jewish people. It is dependent upon the non-Jews. In those areas, countries and civilizations that were unwilling to accept the Jews there was almost no assimilation. Eastern Europe is somewhat of an example. The Russian Czar did not want the Jews in his land. On the other hand, in any country where Jews were granted equal rights and the opportunities for advancement, then the process of assimilation was ever-present. In Babylonia there was no assimilation because the Babylonians were basically Zoroastrians, pagans whose religion had no appeal to the Jews; and they did not like the Jews either. The Muslims in Babylonia took Islam very seriously. Therefore, the Jews were always looked at as infidels. That was not true of the Moors, who lived in North Africa and Spain. Even though they were Muslims they were not so fanatically devoted to Islam. They were very pragmatic. If they wanted to have doctors, poets, advisors and philosophers as part of their society, they had no objection to those people being Jews. And they had no objection to employing them, using their skills and services. Therefore, it was a time of tremendous opportunity for the Jews. Within 60 years after the arrival of the Jews in strength, the Prime Minister of Spain was Jewish! And not only Jewish, but a rabbi! In short, the opportunity was unparalleled. The attraction was blinding. Jews could not stay away from it. Of course, Spanish Jewry would pay a heavy price for it. Living in both worlds is difficult. Eventually, assimilationist tendencies would wrack Jewish civilization to the point, centuries later, that half of Spanish Jewry would not have it within them to leave the country even at the point of conversion. Nevertheless, at the beginning there was a strong attraction to assimilation – and it was, ostensibly, assimilation without a price. It is worthwhile to discuss one final chapter about the Jews of this period. An event occurred in the eighth century which remained famous in Jewish lore until our day. It served as the basis of many books that were written later. That event centered around a tribe of Asiatic nomads who lived in the Russian steppes, near the Caucasus. They were called the Khazars, who were at the time superstitious, primitive and pagan. There are various legends what happened. One was that they bought Jewish slaves and these slaves found such favor in the eyes of the chief of the tribe that he wanted to learn more about the religion until, eventually, they explained it so well that he and his entire tribe converted to Judaism. A second legend is that the chief had a dream where he saw a vision of someone breaking their idols. He was so shaken by the dream that when he awoke he invited a delegation from the three monotheistic religions to present their views and explain their religious ideas. There is a third legend that the king of Khazars was told in a vision by angels that he should find himself a rabbi and convert. There is no way to verify legends such as these. It seems very unlikely that any rabbi would take a trip to the land of the Khazars to represent the Jews. That is why the story of the slaves strikes one as a truer legend. Whatever the case, it is incontrovertible history that in the ninth century the Khazars, who had an extensive kingdom, were Jewish. It is hard to describe how their Judaism looked. But they had something. The Khazars had an extensive kingdom that lasted almost two centuries. Eventually, they were destroyed by the Mongolian invasions. They disappeared as an organized unit, though there were Jews scattered throughout the Jewish world who claim descent from the Khazars. From the ninth to the eleventh century, the Moors crossed the Straits of Gibraltar, the narrowest point in the Mediterranean, and invaded Spain, the Andalusian Peninsula. It was and is one of the most beautiful places in the world: a fertile land with lush vegetation a warm climate – and very sparsely settled at the time. It was a natural for those who lived close to the Sahara. The original small colonies gradually turned into larger and larger colonies on a permanent basis. In almost every boatload of Moors that came to Spain, came Jews. The Jews represented virtually every profession and every type of commercial endeavor. The great Spanish seaport of Cadiz, on the Mediterranean, was closed on the Sabbath until almost our time. The reason is because almost all of the ship chandlers and merchants were Jewish. Therefore, for almost six centuries the port was not open on Saturday — even after there were no more Jews there. It remained a tradition of the port. Within every Moorish community there was also a Jewish community. All the great cities of Moors Spain — Cordova, Barcelona, Seville (as it is known today) and Madrid – had Jewish communities and Jewish institutions, including academies and great rabbis. As discussed previously, this included Rabbi Isaac Alfasi, the “Rif,” who led the Jewish Moroccan community for 70 years before coming to Barcelona for the last 13 years of his life to lead the burgeoning community there. The cream of the Jewish intelligentsia came to Spain. The Jews also had developed a reputation in medicine and the Moors preferred Jewish doctors. Jews also took up other occupations, including becoming tailors, shoemakers, armor-manufacturers, etc. The Jews served in the army. Rabbi Samuel HaNagid (“the Prince”) was a famous general in the Moorish military. He had friends in the highest echelons with the Moorish sultans. He wrote Arabic fluently, was a poet of note and also a great diplomat. When the Moors had problems he was sent on to negotiate on their behalf. He negotiated within the Muslim world and between the Muslim world and the outside world – to such an extent that he was appointed to be the prime minister of Spain. For more than a decade he headed not just the Jewish community in Spain, but Moorish Spain itself. And he was an open and devout Jew who used his position to strengthen the Jewish community, placing Jews in high offices and insuring that there were no discriminatory laws against Jews. He even arranged with the Sultan that there should be two days of rest, Friday and Saturday. This period of time, beginning with Samuel HaNagid, is known in Jewish history as the Golden Age. Until the time of American Jewry, there never was an exile as favorable – physically and spiritually – to Jews as this 300 year period (from about 1000-1300 CE, till the reconquest of Spain by the Christians). The center had shifted. The story of the Jewish people was now moving to Spain. I am confused is the list of times in order? I thought they started out in Spain or was that just Rabbi that went to Spain. It’s a lot to take in. Is there a study like this that is releated to scripture or a scripture study that reflects these ereas. it was stated on jeremiah the prophet that the jews were scattered all over the earth. My point is the messiah has not yet come. Pls. correct me if i’m wrong.